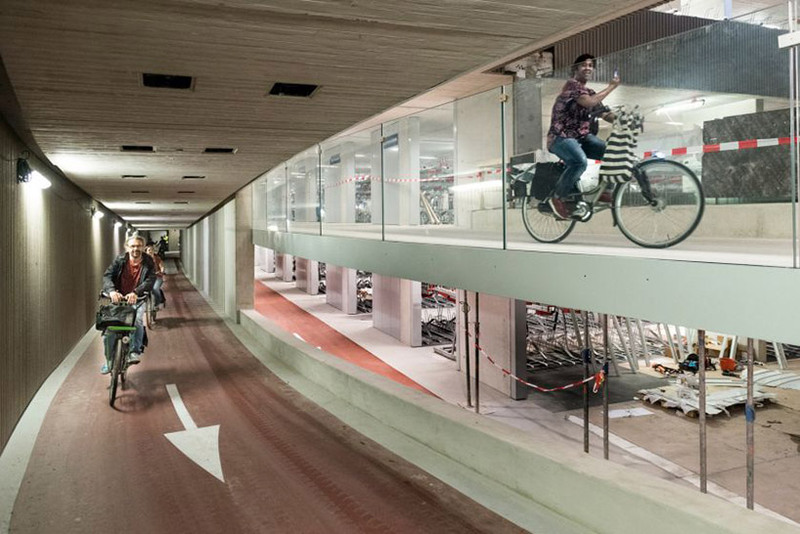 The Netherlands, where bikes outnumber citizens, is well known for its cycle-centric transportation infrastructure. 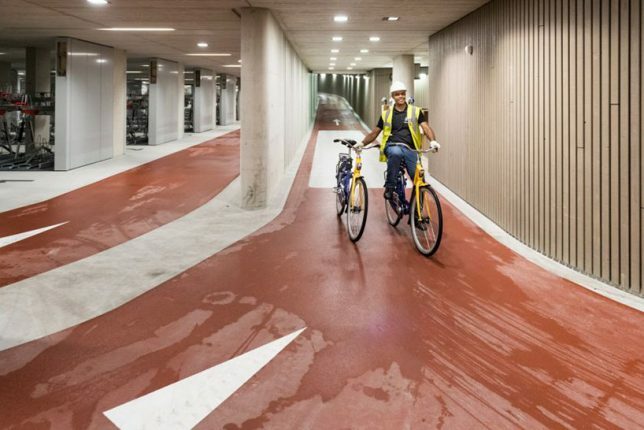 In Utrecht, over 100,000 cyclists ride through the city every day, connecting between home, school, work and public transportation. 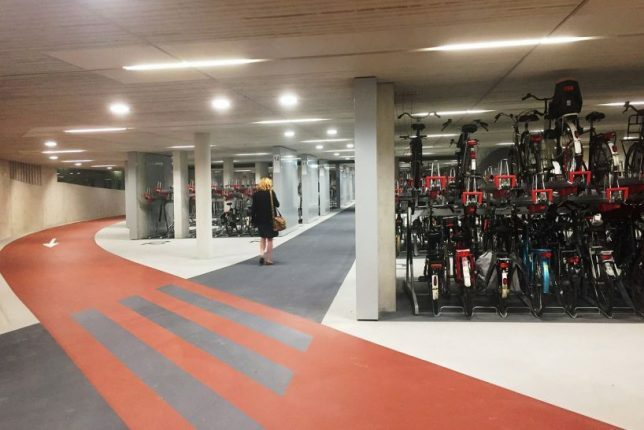 Now open, this newly-built bicycle parking lot can already house 6,000 rides at a time, but is aiming to more than double that capacity by the end of the year. 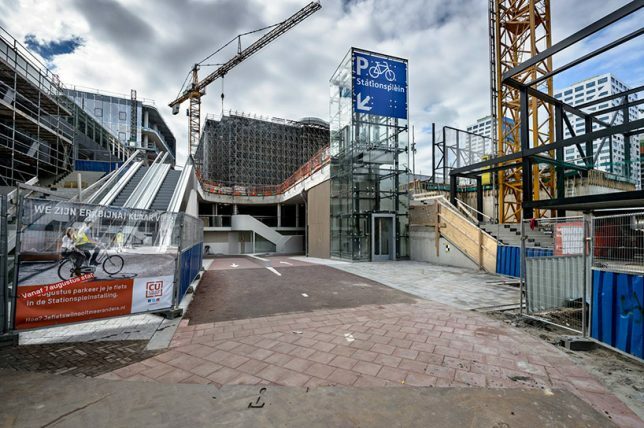 It actually looks a lot like a conventional parking lot, filled with ramps and arrows pointing cyclists through the structure, crisscrossed with walking paths for people traveling to and from their personal vehicle. Dense stacking allows for layered storage across the multiple levels of the structure. 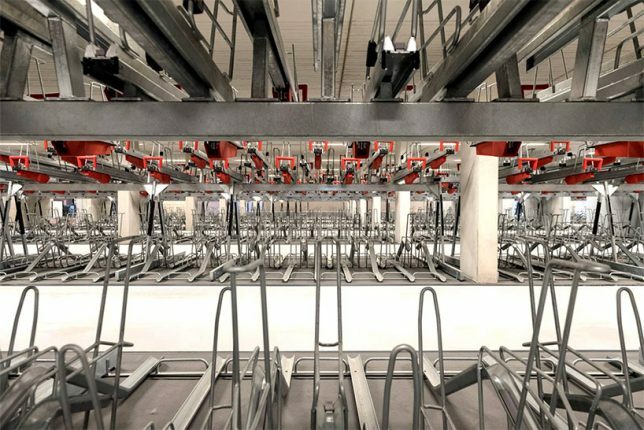 Eventually, the parking structure will store a remarkable 33,000 bicycles by 2020, which, to most people, might sound like a lot of bikes. 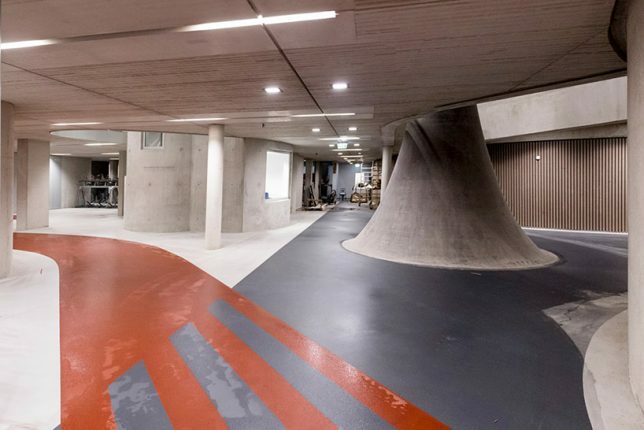 But the design, patterned after Tokyo’s amazing underground bike parking station, has people worried — not because it could be overbuilt, but because the capacity might not match the demand. 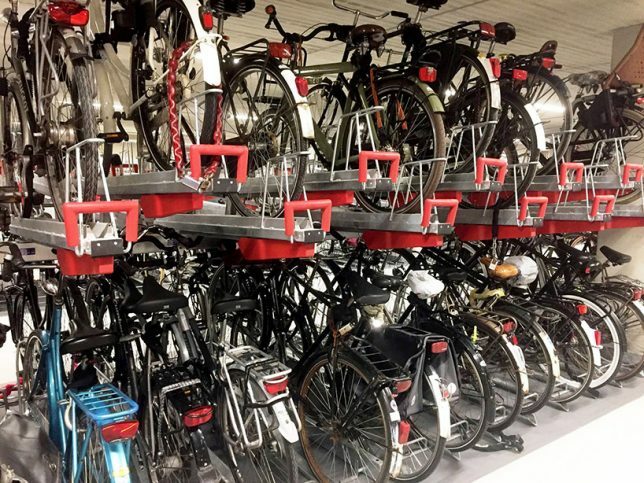 As popular as cycling already is in the region, the number of people on bikes continues to grow and the Netherlands has long had storage space issues related to this growth. One cycling organization quoted John Lennon to make the point: “life is what happens while you are busy making other plans.” They say politicians are still being too slow to make decisions and implement plans to increase bike-supporting infrastructure. Still, too many riders and fewer seems like a good problem for a city to have.